So today is my 25th birthday! 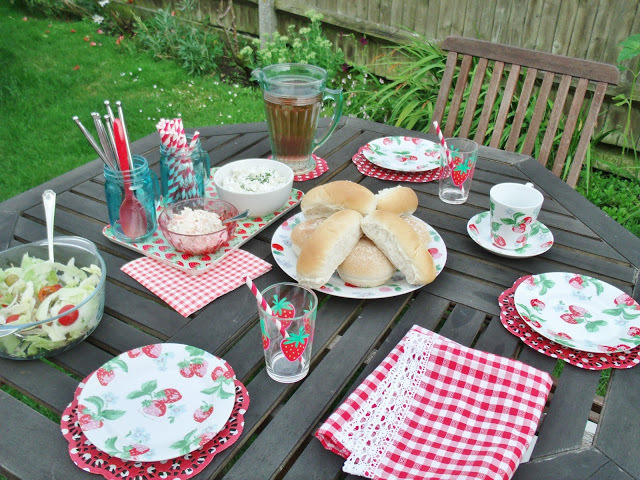 I feel old.. it’s horrible so lets move on… I had a little BBQ in my garden to celebrate! Even though the weather wasn’t perfect, I had an urge to use my new BBQ. 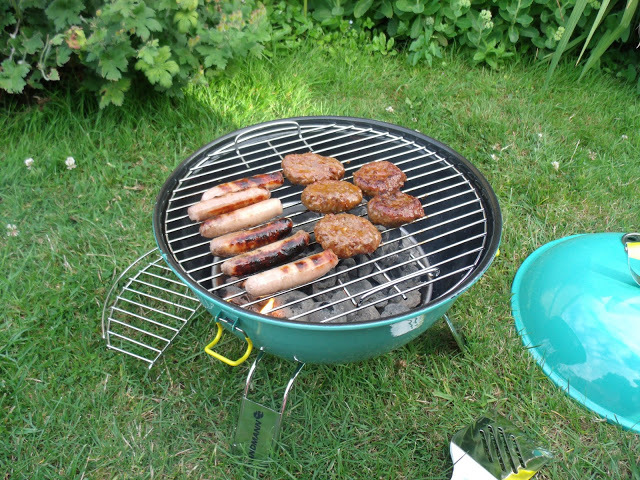 I bought this portable kettle Landmann Piccolino BBQ from Homebase, and the turquoise colour really caught my eye. 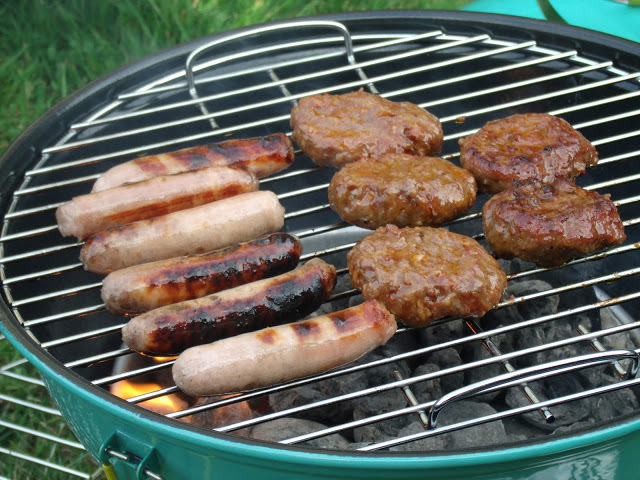 We have never had a BBQ before, so we weren’t really experts in getting it set up, but eventually it got going and we successfully used it to cook some sausages and mini burgers. It’s only a little one, but it’s easy to use and just the right size for a small family. 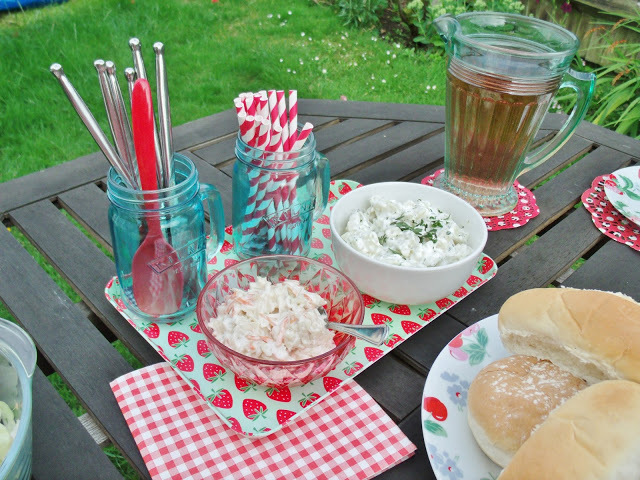 We made a salad, coleslaw, and potato salad to accompany the BBQ, and I set up the table using my new bits from Tiger and Cake Mart. 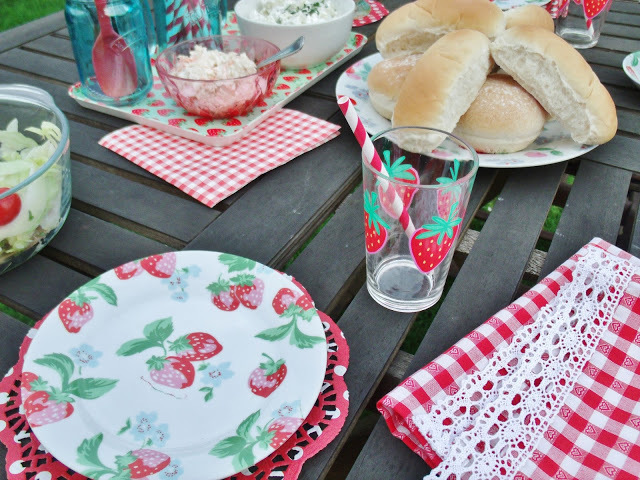 I had a bit of a strawberry theme going on, so I used my Cath Kidston strawberry plates, strawberry Tiger tray and glasses, and then used a few red and white paper straws. 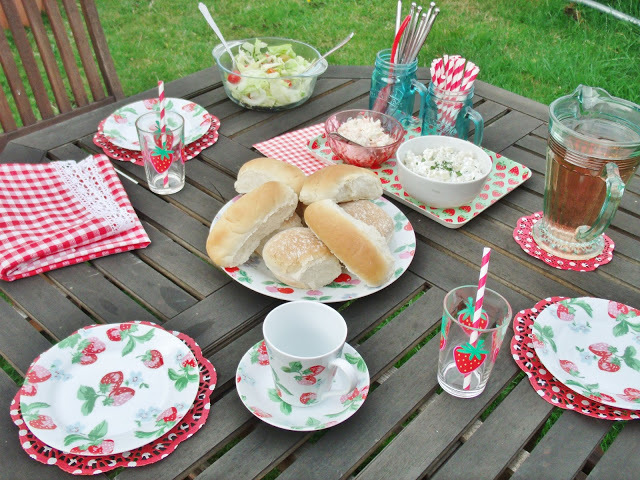 I also used some cute red and white polka dot doilies as place mats in each place setting, which looks lovely against the plates. 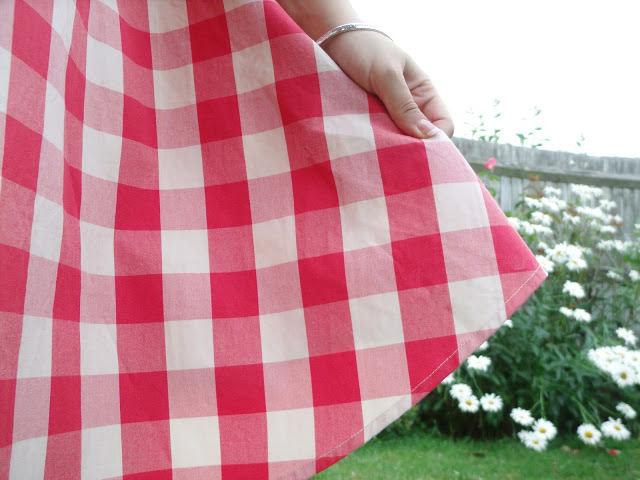 The red and white gingham napkins also matched with the tea towel.. and funnily enough, my dress! 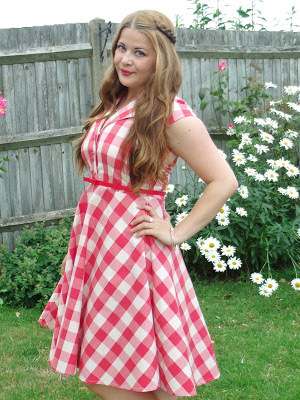 I wore my beautiful new gingham dress from Dublin based store Carousel. 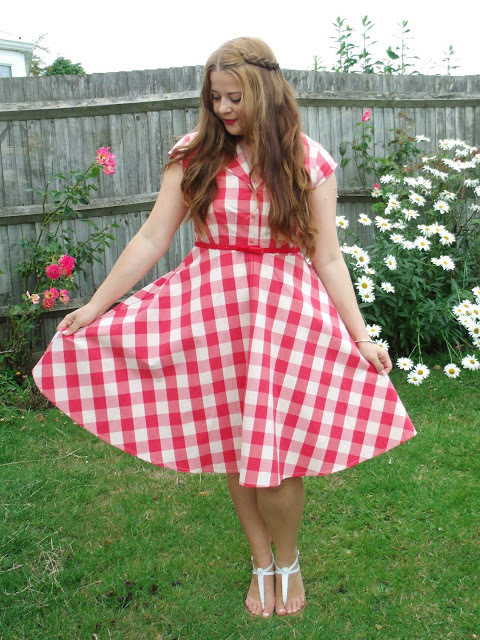 Their designs are all so stunning, and they have some absolutely gorgeous vintage style summer dresses. 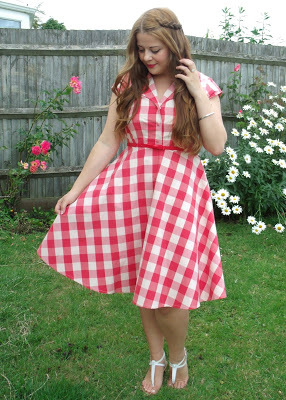 I love the retro inspired style of this dress; with a long flared skirt and fitted top with a large collar, and cute buttons up the front. The dress is so well made, fits nicely, and feels such good quality. 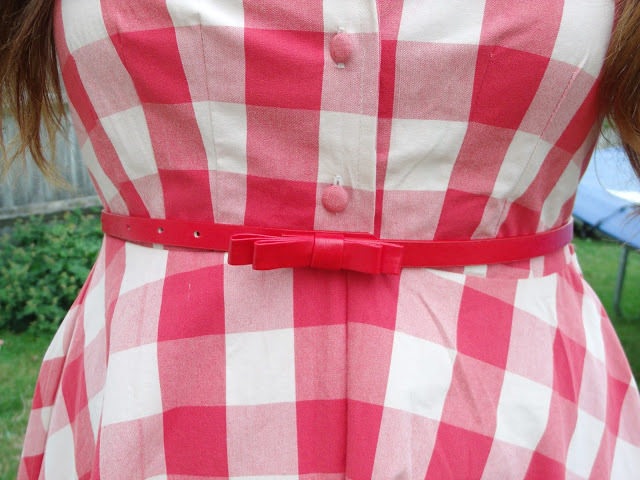 I wore a skinny red bow belt with the dress to enhance my waist, and some little white sandals. 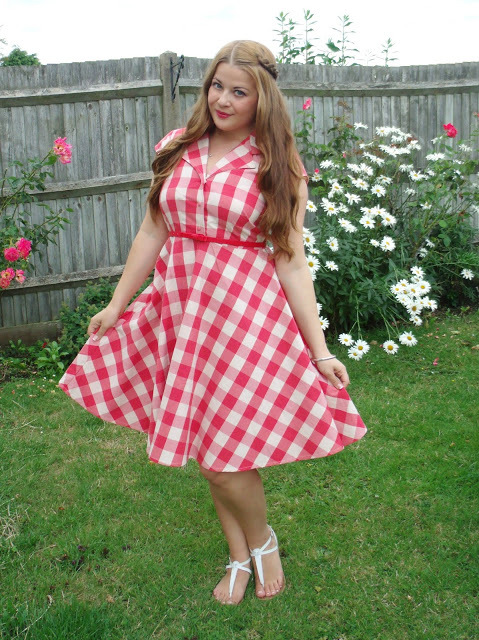 This is the red and white checked Ava dress, which I think is lovely to wear in the summer with a splash of red lipstick. Happy birthday, looks like you had a lovely day, great theme! Thanks for the info about Carousel, I may be visiting Dublin later this year will need to check it out! I just turned 25 too I feel over the hill! Looks like you had a lovely BBQ. Your dress is stunning! Happy Birthday! Looks like you had a lovely day! Happy birthday! You look amazing in that dress. The bbq looks so tasty! 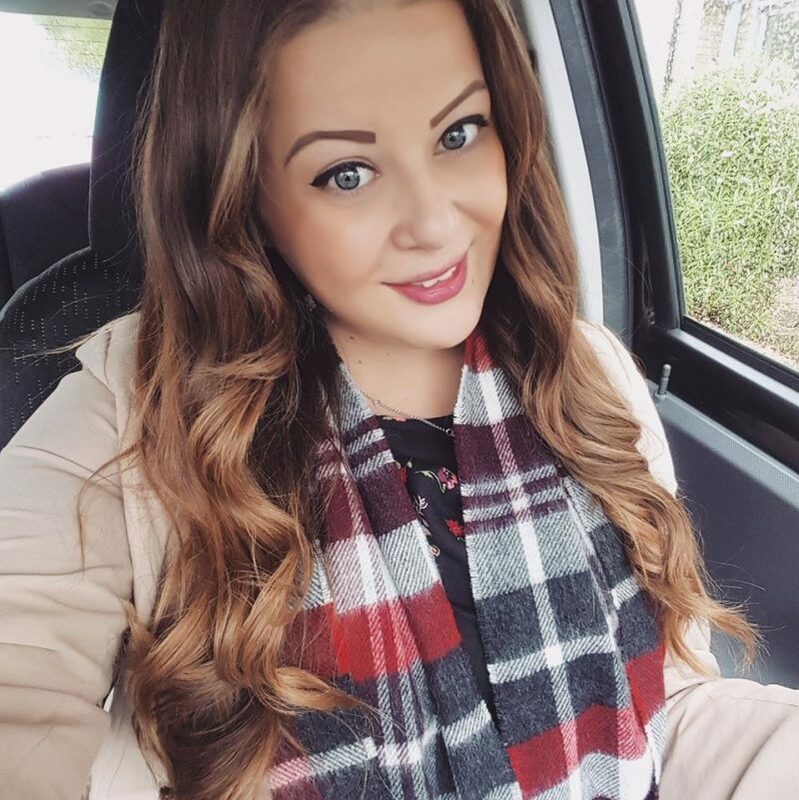 Aww looks like you had an amazing day =] you look gorgeous! Oh, that's such a cute BBQ. I hvae been wanting to get one to keep in the shed at the allotment – this could be perfect!